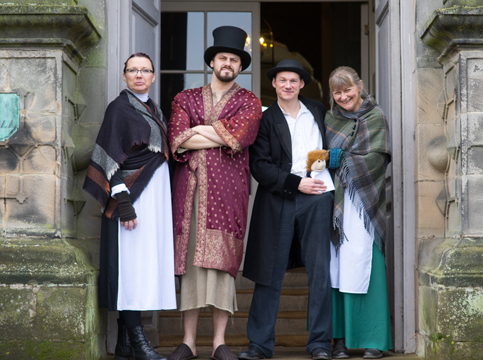 The Lost Boys return to Sudbury Hall with their irreverent take on the Dickens classic story of rebirth and redemption. 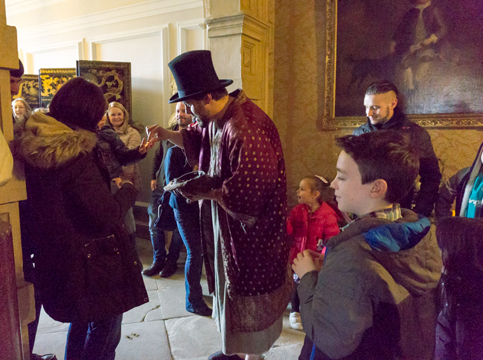 An adventure that weaves the classic characters from this story into the very surroundings of Sudbury Hall. 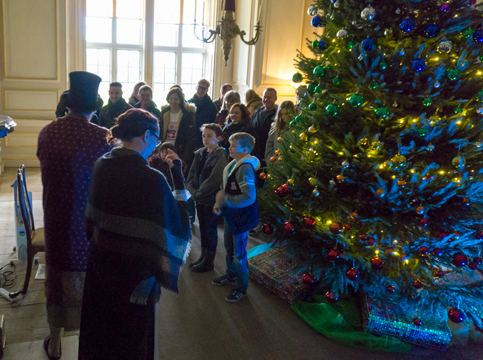 Scrooge's journey will guide audiences from the exterior of the grounds to the spectacular interiors, with the tale coming to life before their very eyes. This event includes breakfast. Visitors can choose from a hot bacon or sausage bap and tea, coffee or orange juice. 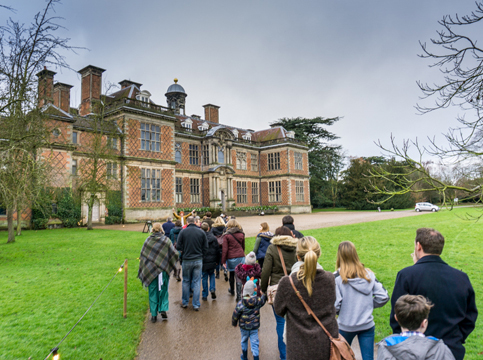 Please email sudburyhall@nationaltrust.org.uk if you have any dietary requirements. 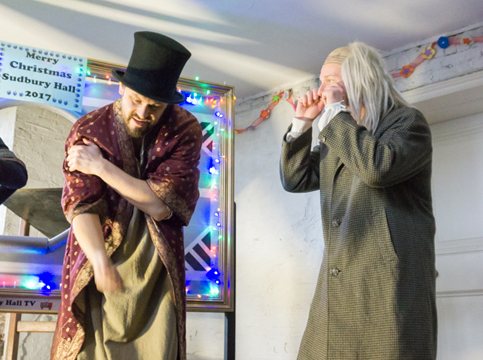 This is A Christmas Carol as you've never seen it before. 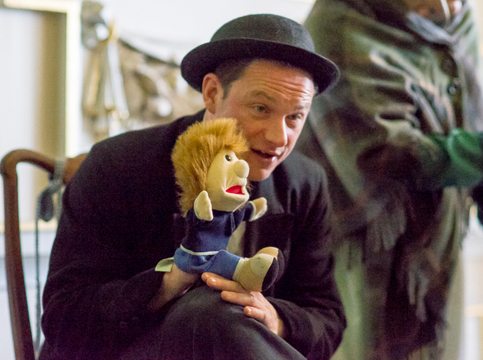 An interactive promenade performance suitable for all the family. A Christmas Carol is the best Christmas story. Fact. I mean there has been scientific studies into it. It was only a matter of time before we decided to have a crack at it. The story is so well known and the novella is rich that we really felt like we could play with it and see what we came up with. There have been many interpretations of this classic story that also informed how we looked at the story, The Muppets Christmas Carol being a major influence. The story is so well known that it gave us licence to really take some characters and plot points to the extremes. 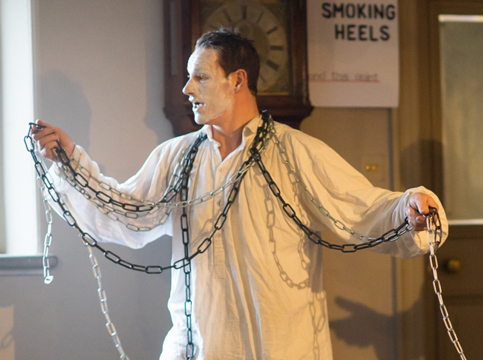 Creating Marley’s ghost and making him weird in the way only Paul can was a high point of our re-imagining. 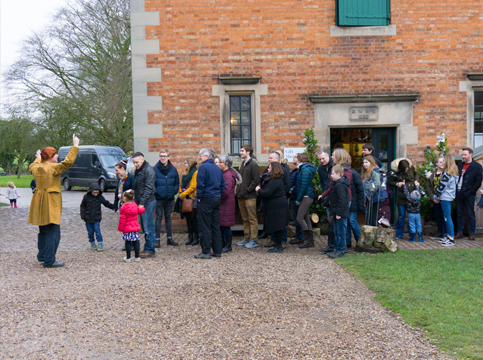 Setting our version within the beautiful and atmospheric Sudbury Hall was the icing on the cake. I mean, half your job is done for you when your back drop is the rooms there. 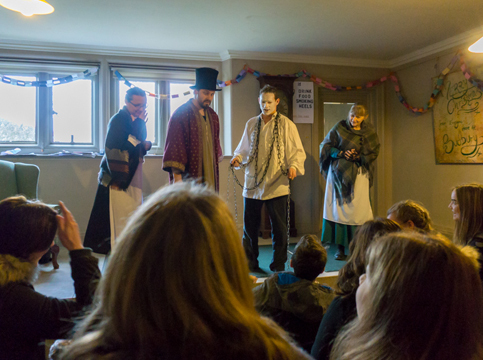 we found that the we could make the story interactive with the audience playing roles in Scrooge’s redemption and this offered a complete individual experience as the audience were as much a part of the show as we were. 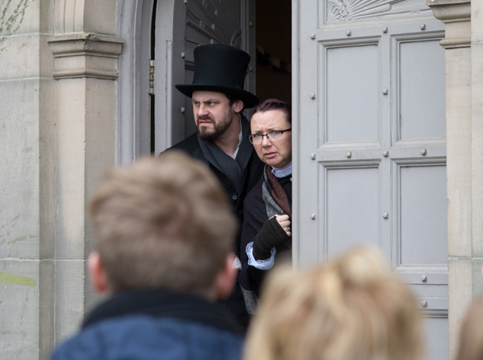 This also became one of our funded works as we received funding from Arts Council England as we explored making the show accessible to both a deaf and hearing audience. 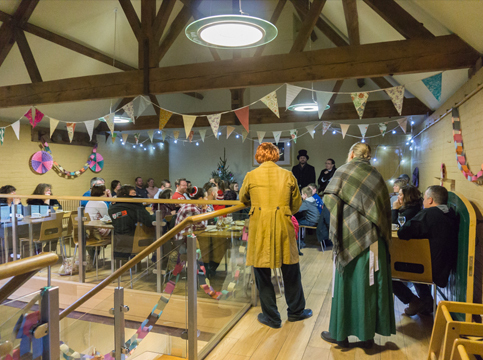 We worked with Sarah Gatford and Tracey Kelsall, two theatre interpreters who helped shape our Lost Boys style into one that would entertain and engage an audience be it deaf or hearing. 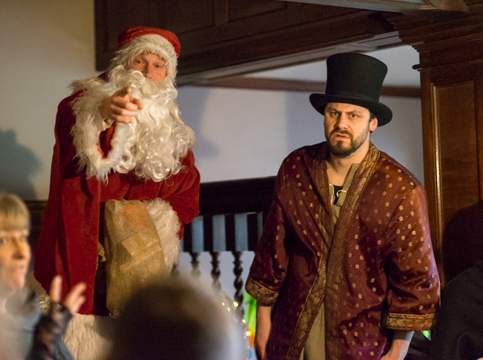 The fact that we had so many people come back year after year to see it is a testament to the story that Dickens wrote and how it is still the most festive of tales but with ours it has all the hallmarks of a Lost Boys show, Paul playing more characters than you can count, wigs, innuendo and a tiny ginger puppet! If that doesn’t say Christmas I don’t know what does!